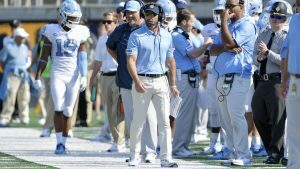 The Tar Heel football season hasn’t quite started in the way coach Larry Fedora has in mind. Today’s “Inside Carolina” discusses his words on the cancellation of the game this weekend and the state of the UNC football squad. NextChansky’s Notebook: Advantage Tar Heels?